Dr. Robert Biter, known to his supporters as “Dr. Wonderful,” has voluntarily resigned his privileges at Scripps Encinitas Hospital two weeks after the hospital initially suspended him. Less than a day after officials at Scripps Memorial Hospital Encinitas reinstated baby delivering privileges to Dr. Robert Biter, the natural birthing method advocate voluntarily resigned from the staff late Friday afternoon, hospital officials said. The turn of events capped off a standoff between Biter and the hospital’s medical staff that had lasted for two weeks and had generated daily protests by his supporters in front of the Encinitas medical center. Scripps officials suspended Biter’s obstetrics privileges on May 7 without offering a public explanation for the action. They left his gynecological privileges in place. The doctor also declined to say why he was disciplined. It may seem confusing, but it actually makes perfect sense. Apparently, there was never any chance of Dr. Biter continuing to practice at Scripps Encinitas. The hospital is bound by confidentiality agreements and cannot reveal the allegations, but it is likely that the 6 pending lawsuits filed within the last 5 years had something to do with it. That is an extraordinary number of lawsuits for an entire 40 year career, let alone the first decade of practice. But Dr. Biter was able to negotiate something other than the worst possible outcome for himself. By law, the hospital was required to notify the Board of Medicine within 15 days if his privileges were suspended or revoked, automatically triggering an investigation by the board that could lead to the loss of Dr. Biter’s license. However, he managed to avoid that investigation by promising to voluntarily resign if his privileges were reinstated. It’s a win for the hospital, because they have successfully severed their relationship with Dr. Biter. Obviously it does not protect the hospital from the lawsuits that have already been filed, but it ensures that the hospital will face no further liability. It is a win for Dr. Biter, because he has avoided the most serious possible consequence of the allegations, an investigation that could lead to the permanent loss of his license to practice medicine. It is emphatically not a win for the women of California. Because of the deal struck between Dr. Biter and the hospital, all the allegations remain confidential. A hospital has severed its relationship with a doctor because it considers him a serious liability, but it has released him to set up shop elsewhere and continue doing whatever got him into trouble in the first place. We cannot blame someone who really needs to investigate on some things especially if it is really important. 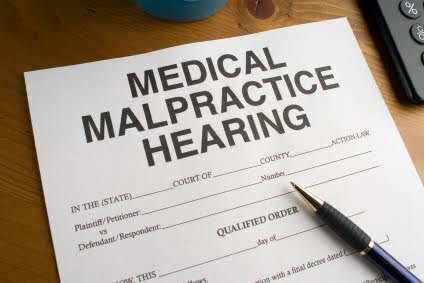 Medical malpractice and other issues about it must be faced and solved immediately before it can hurt someone’s innocent life.